LITTLE ROCK—More than 130 junior investors in grades 4-12 were recognized for their successful efforts to grow a hypothetical stock portfolio over the course of 10 weeks. They received cash awards and trophies for winning 1st and 2nd place during the Fall 2013 session of the Stock Market Game TM, a project-based investment simulation teaching the importance of saving and investing for the future. The student achievements were celebrated during an awards luncheon at Verizon Arena on Jan. 16 hosted by Economics Arkansas, a nonprofit educational organization that trains educators how to integrate economics and personal finance concepts into the K-12 classroom curriculum. Yet as one winning team of four elementary students explained to the audience, participating in the Stock Market Game program netted them more than a cash award and a field trip to Little Rock: “We learned to take risks with investments. We learned about different levels of risk: low would be a savings account, medium would be stocks or mutual funds, and high would be investing in futures like corn. We learned to look at what was happening in the world. . . . If a produce had to be recalled, then the company would suffer. If the government shut down, we were all in trouble. We learned to use online resources like nyse.com, yahoo finance and google finance. We could use their charts and analyst opinions to determine whether or not a stock was worth buying,” said Gabe Reed, Davis Elleman, Jaxon Krueger and Preston McAllister from Bernice Young Elementary School of the Springdale School District. One of the adult guests, Dr. C.W. Gardenhire from the Arkansas Department of Education, emphasized the value of long-term investing. He described how he participated in the Stock Market Game as a middle school student and, impressed by what he had learned, purchased two shares of a publicly traded company with some of his earnings from a part-time job. He held onto that stock and years later, the profits from those two shares paid for the down payment of his first house. Also recognized were Michael Huels, North Little Rock High School Sophomore Campus, North Little Rock School District, in the category of Overall Advisor; Marybeth Passmore, White Hall School District, in the category of Teacher Division, and Jerry Brown, Genoa High School, Genoa Central School District, in the category of Portfolio Advisor. 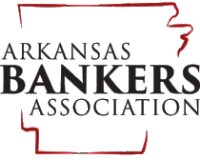 The Stock Market Game is owned by the Securities Industry Financial Markets Association (SIFMA), and franchised to Economics Arkansas since 1999. In this investment simulation and competition, students trade “live” in the stock market. Teams of 1-5 students seek to grow a virtual $100,000 stock portfolio over the course of 10 weeks in the fall and in the spring. They compete in either the elementary (grades 4-6), junior high (grades 7-9) or senior high division (10-12) in one of the state’s six regions connected to a university economics center area. Teachers act as advisors who assist each team by inviting investment professionals to speak in the classroom, teaching their students to learn “how” to research and to become aware of current events that affect the market. The teams with the highest total equity at the end of each 10-week session in each division and region are recognized at the awards luncheon. The winners receive cash, medals and commemorative tee-shirts. Annual participation averages more than 9,000 students. Note to media: Photos and names of members of most student teams are available upon request.